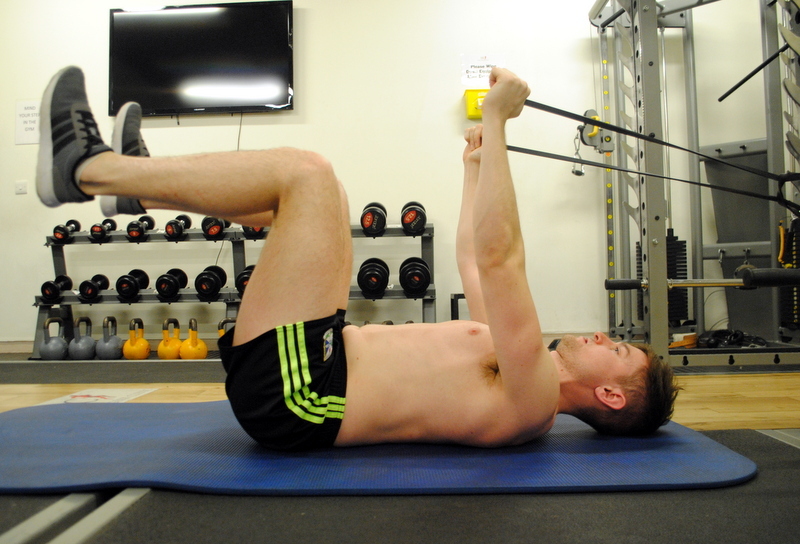 Home / Blog / Back Pain in Gaelic Games – why does it happen & what should be done? Back Pain in Gaelic Games – why does it happen & what should be done? A study on Dutch soccer players found that 64% of players had low back pain at some point over a 12-month period and that it reoccurred in 59% of these. (van Hilst et al., 2015) Back related injuries in Gaelic football have been recorded as being between 2.5% and 15% of all injuries between 2011 and 2014. Similar figures have been reported for trunk injuries in Hurling over the same period. (Blake et al., 2015) Interestingly, research suggests that people who are involved in rotational based sports and who are less active during the day are more likely to experience low back pain. (Chimenti et al., 2013) This is particularly relevant to the footballer or hurler who sits at their desk all day and then can often have a long drive before rushing into dressing room and out into a warm-up. Although sports people receive more medical attention their short term recovery is thought to be poorer than the general population. This can be more problematic in amateur athletes who may incur loss of earnings as a result of their injury. Back pain can also take its toll on family and social life particularly when it becomes a chronic or recurrent problem. There are a number of misconceptions that appear to be commonplace in society and particularly in the sporting population with regard to the cause or contributors to back pain. Athletes often suspect a bone, joint or their pelvis being ‘out of place’ as being the source of their back pain. This was never more debated in the sports medicine world then in 2014 when Tiger Woods missed a major tournament citing his ‘sacrum being out of place’ as the primary factor. The reality is that these phenomena are unlikely to occur and there is certainly no medical research to back up such opinions. A difference in leg length is also regularly offered as misconceived contributor to low back pain in athletes. Although there are a small number of hurlers/footballers who may have a leg length difference due to a fracture or birth defect there appears to be an over diagnosis of this problem in athletes who get recurrent low back pain. The importance of an accurate diagnosis cannot be overstated. Understandably I see a lot of athletes that are very concerned because they think there ‘disc bulge’ won’t get better or that they have ‘wear and tear’ in their back. Research on people without back pain shows evidence of disc degeneration (91%), disc protrusions (32%) and disc bulges (56%). (McCullough et al., 2012) These changes are more common at the lowest 2 levels of the spine in the athletic population. (Ozturk et al., 2008) There is little sports specific data on the sources of low back pain. Low back injuries that result in significant nerve related problems make up 5-10% of presentations. Nerve injury or compression that may causes pain, weakness and/or numbness in the leg in an athlete is most likely to be as a result of a disc prolapsed. The majority of the remaining back problems (up to 90%) are difficult to attribute to one specific structure in the lumbar spine and are referenced as non-specific low back pain. These are most likely to be as a result of soft tissue strains, sprains or overload of the superficial/deep muscles of the lumbar spine or of the small facets joints the allow for movement of the lower back. Imaging in the form of MRI is generally not warranted in these presentation. My work in the Sports Surgery Clinic allows direct access to a multi-disciplinary team including Sports Medicine Consultants, Radiologists, Strength and Conditioning Coaches and Consultant Neurosurgeons. Being able to call on these services ensures that we can make an accurate diagnosis and identification of the factors driving the issue relevant to the athlete and ease people’s fears with regard to their prognosis as many radio-logical findings are present in healthy pain free populations. As with the majority of musculoskeletal injuries, causation is generally considered to be multi-factorial. Contributors can be divided into extrinsic (external to the athlete) or intrinsic factors. 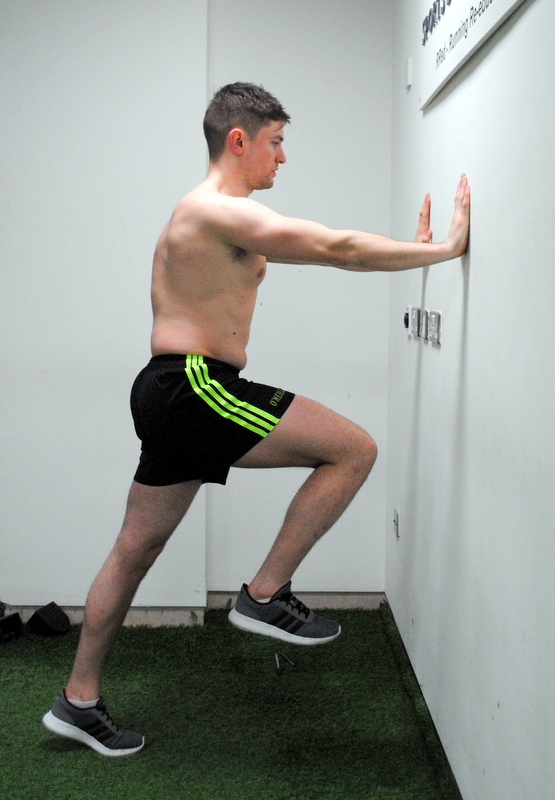 The primary extrinsic factor that may be key to a hurler or footballer experiencing low back pain is their training history. Training load and intensity need to be evaluated to ascertain whether players have had a sharp spike in load or indeed the opposite could be a contributor where players are not adequately prepared for the required demands of competition. Overall training load and spikes in training load have been shown to result in increased reporting of low back pain in a number of individual and team based sports. (van Hilst et al., 2015, Bahr and Krosshaug, 2005). Lack of rest or recovery strategies employed by teams may also be a contributing factor. Liaising with the team physio, S&C coach or manager can be very effective in this incidence particularly when there is a trend of injuries within a team. Environmental factors such as weather and the type/quality of surface players are training on (i.e. Astroturf vs grass) may influence training load or increase the risk of contact type back injuries. The type of training undertaken may be of importance. In my own experience there seems to be a group of athletes who report back pain after longer running distances while having little difficulty tolerating speed and acceleration work. These athletes tend to over-stride which can result in a more pronounced anterior pelvic tilt (black arrow figure 1) and curve in the lower back. Fatigue can often result in an accentuation of these movement patterns leading to increase loads in the lower lumbar spine and the lumbosacral junction. This type of movement pattern is commonly encountered in juvenile stress fractures. 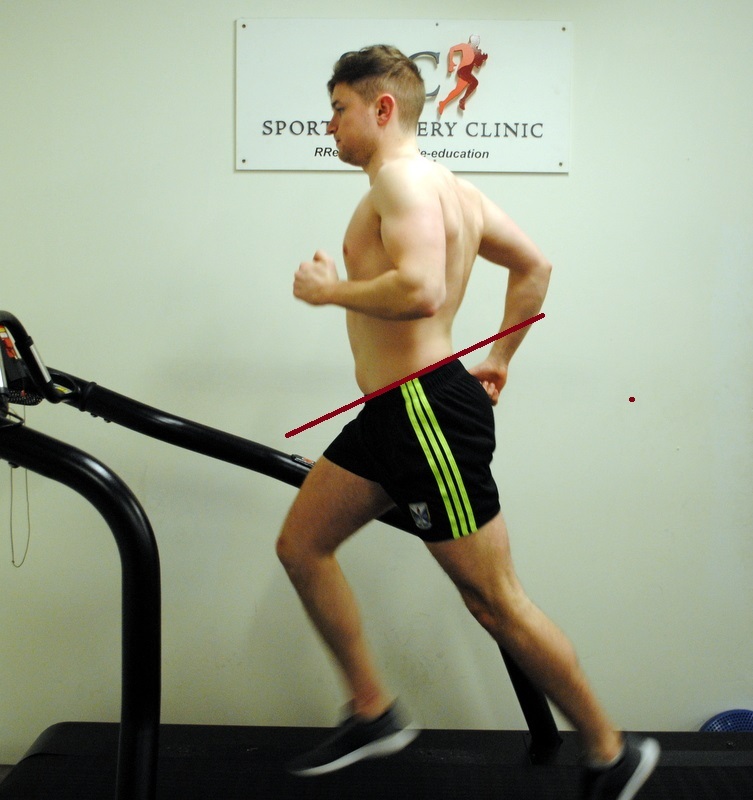 Lateral pelvic drop is also a common finding when assessing running style. This is often associated with trunk side flexion to the side of the pelvic drop. 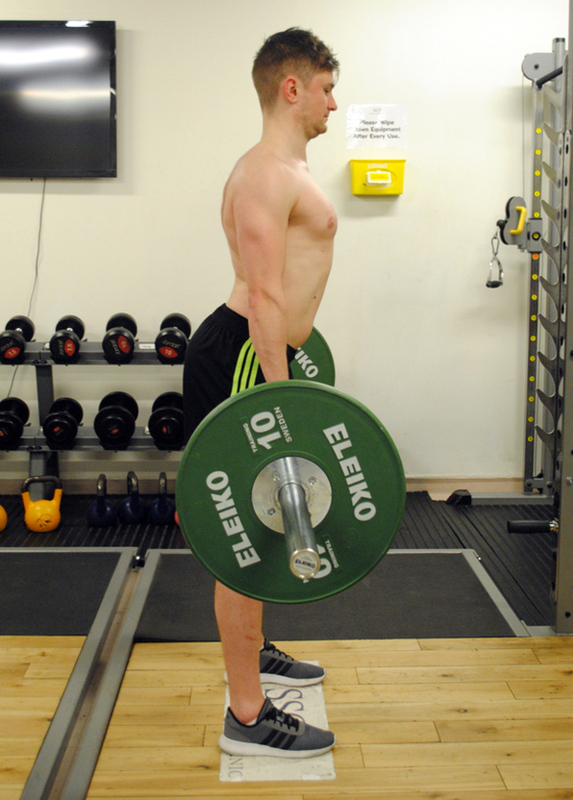 Poor lateral hip strength in the presence of low back pain should be addressed. 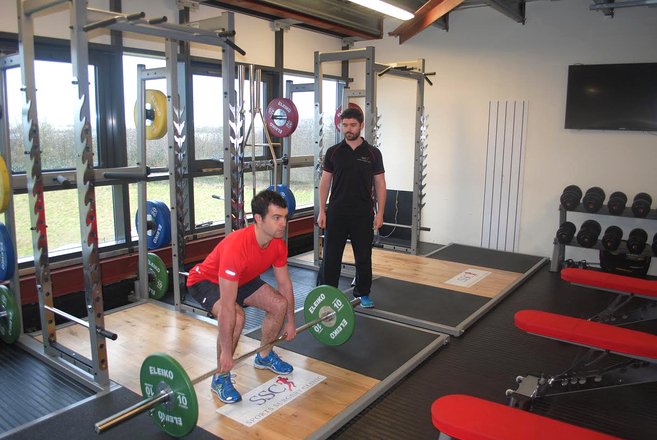 The gym based environment is a key part to most club and inter-county players training schedule. The exercises chosen/equipment used and the expertise of coaching are key factors in the possible prevention/reduction to low back pain in our athletes. 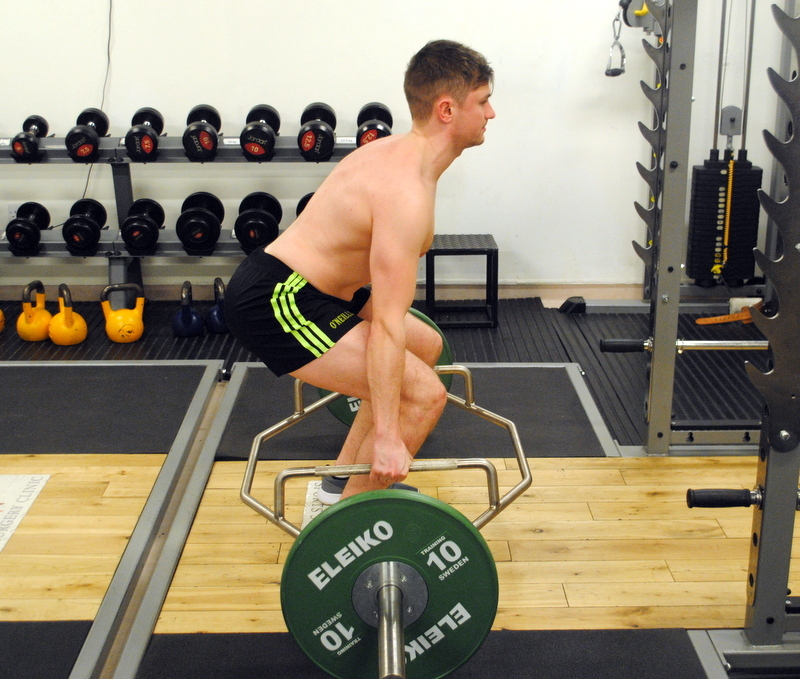 Unfortunately, I would consider poor lifting technique as commonplace in GAA players. The amateur nature of GAA and the fact that the majority of playing members are in full-time employment or education brings may expose players to yearly or seasonal risks such as prolonged sitting during exam periods or jobs that involve high spinal loads such as tradesmen, defence forces and exercise professionals. Lack of hip range of motion has also been implicated as a contributing factor for development of low back pain in rotational based sports. (Harris-Hayes et al., 2009) It is likely that athletes with insufficient range about the hips, shoulder and thoracic spine will place greater rotational forces through the lumbar spine in movements such as cutting, catching and kicking/striking the sliotar. 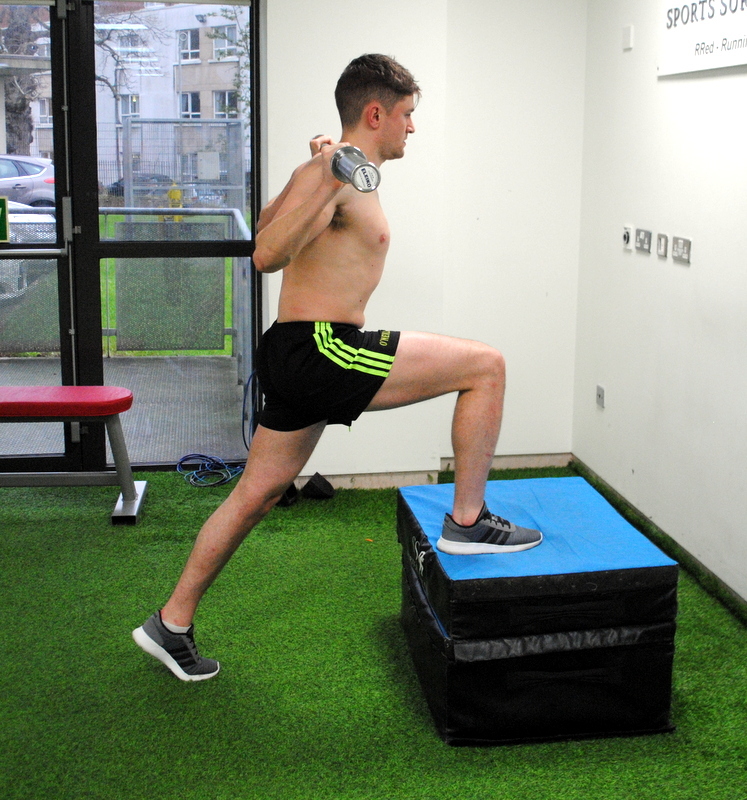 The assessment needs to be individualised for the player taking into consideration the sport (football or hurling), their position on the field and the type of playing style they have. For example, loss of shoulder mobility may be more important for a midfielder that is the main high fielder in the side compared with a corner forward who wins ball in front of the defender. Conversely loss of hip rotation range may have greater consequences for the corner forward who is repeatedly changing direction compared with a midfielder who is making mostly longer straight line runs. 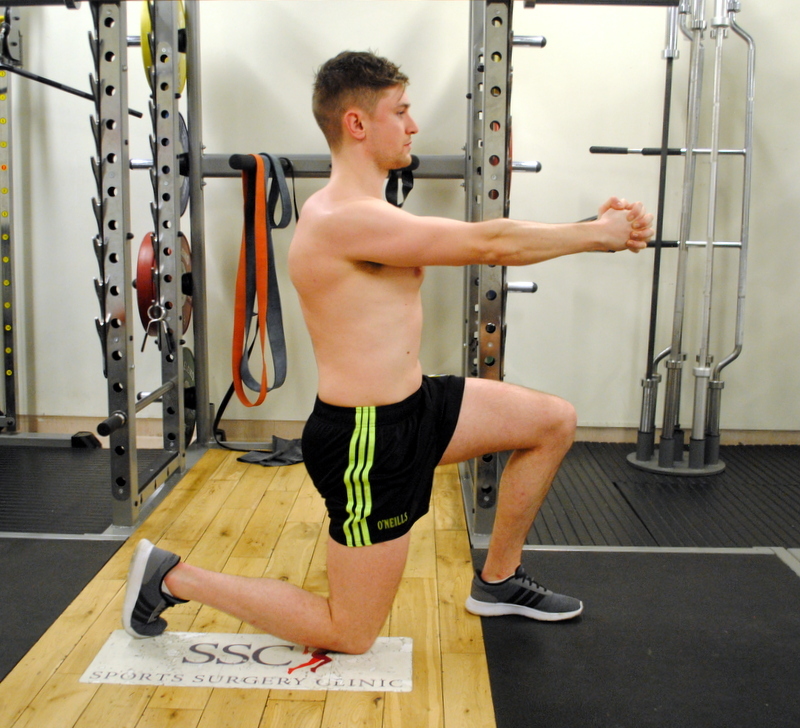 The athletes conditioning for the demands of the sport is one of the key drivers in back pain in Gaelic games. All aspects of physical fitness need to be investigated in order to design a comprehensive rehabilitation plan or prevention program. Each players running mechanics will be assessed when pain and mobility levels allow. Video analysis from behind and the side identifies any movement patterns that increase spinal loading (Figure 3). Slow motion playback helps educate the player on what deficiencies need to be addressed to reduce risk of recurrence and improve performance. Movement patterns that have potential to place greater loads on the spine need to be identified and challenged. These movement patterns may be individual to the sport such as striking the sliotar or may be everyday postures such as sitting, bending or standing. Access to 3-Dimensional analysis can greatly assist our analysis of these movement patterns. The stress of an important upcoming match or anxiety around losing your place in the team because you are injured influences players recovery. It is essential that the medical team, coaching staff and the athlete address these features in order to achieve a successful outcome. There are a number of useful questionnaires that can help identify the effects of peoples understanding and thought processes in relation to their back pain. This highlights the need to not just reduce pain and disability but to ensure that the players rehabilitation is effectively managed to ensure that he or she has the ability to play at the previous level. In cases such as disc herniation or non-specific low back pain gradual exposure to lumbar spine movement should be commenced when the initial inflammatory stage has subsided. Simple motor control exercise (Figure 4) can usually be commenced early on to target athletes that have difficulty controlling the lumbar spine in bending and/or extension positions. These can then be progressed in difficulty as the pain subsides and the athletes control improves. 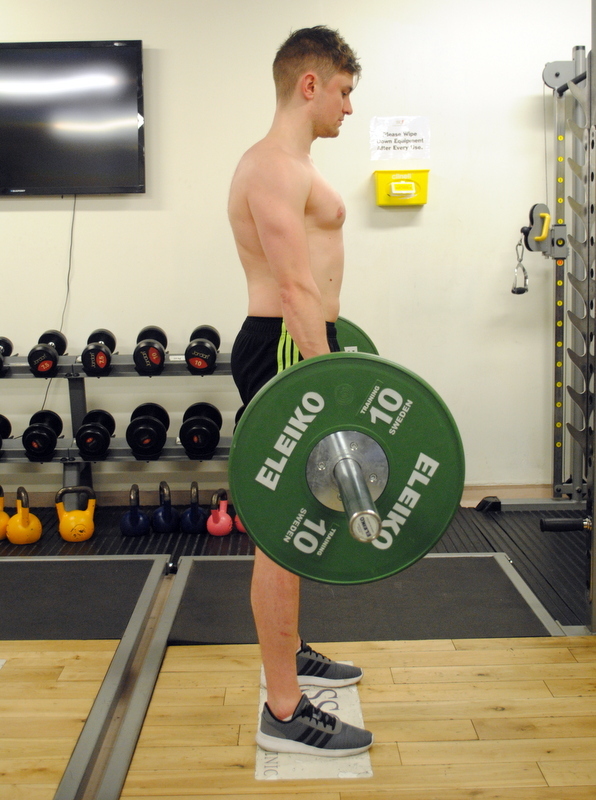 Strength deficits should be targeted as soon as pain allows and appropriate movement patterns are achieved. Each athlete that I review will have their lifting technique assessed in order to correct any flaws (Figure 5). This will reduce risk of injury in itself but will also ensure that players are getting the maximum benefit from their gym program. The specificity of exercise selection is essential taking the athletes position, deficits and goals into account. Individualised training plans should not only improve strength but assist in better movement control that can transfer to pitch based training and games. These plans need to be monitored and updated on a regular basis in order for the player to be challenged to a suitable level. 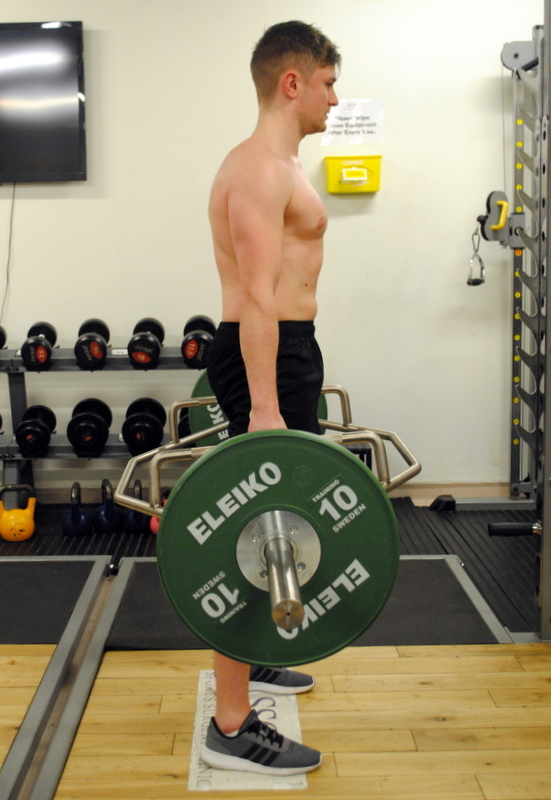 The majority of strengthening programs will include posterior chain exercises. However, anterior chain and rotational exercises should not be neglected in athletes involved in kicking and multi-directional sports (Figure 7). When the athletes’ pain has resolved and adequate control and strength is achieved any modifiable flaws in running mechanics are addressed. Some of the common running faults mentioned previously are best addressed by improving certain strength aspects. However, use of linear running drills can greatly assist the development of a more efficient running style (Figure 7). Use of hurdle or cone running drills are useful in reducing over-stride in athletes. Excessive ground contact time during running can be reduced with the use of marching and skipping drills while concurrently working on the players’ ability to control the movement. 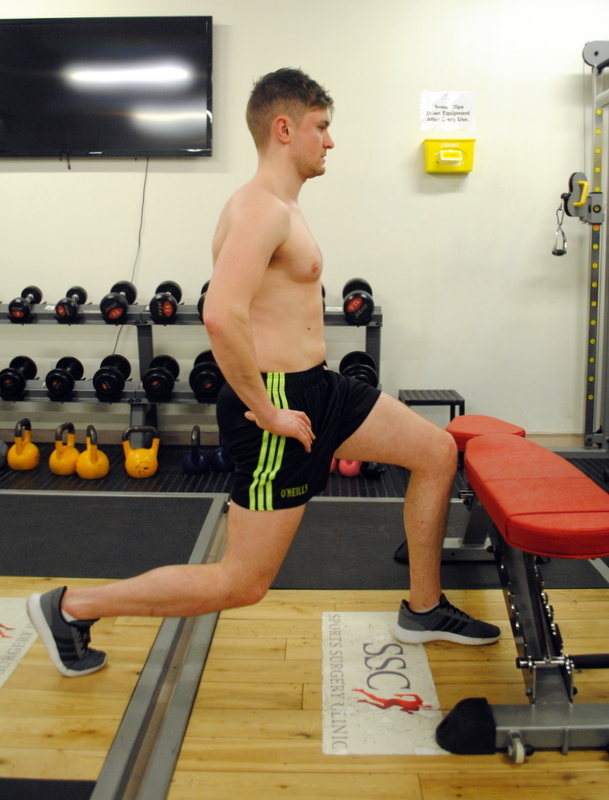 Acceleration and deceleration drills are utilised towards the end of rehabilitation to ensure the athlete can control these movements while maximising their efficiency in these highly recurrent tasks. It is often possible to introduce some running to the players’ program while still working on control, strength and running attributes mentioned above. When available, GPS can do the work for you however simple rate of perceived exertion combined with time and distance covered are generally sufficient. A common mistake is to return to longer distances at slow speeds which can result in less efficient running mechanics. Completing shorter and more game specific runs can encourage more efficient movement patterns. The volume and intensity can be altered as the player adapts to the training volume. Similar to the linear drills, multi-directional drills can be used to challenge control and efficiency of movement. Other elements that should be considered prior to return to training include jumping and landing mechanics. Striking technique in hurling should also be addressed when it is considered to be a contributor to the players pain. Similarly those involved in kicking from the ground may be at greater risk than those kicking from hand and require technique analysis. Although back pain is quite prevalent in sport outcomes are usually very successful. Accurate diagnosis and appropriate intervention to the factors driving the athletes symptoms, be they strength, mobility, running technique or sports specific skill, are key to and efficient and successful outcome. 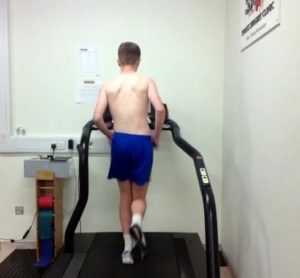 Like all injuries adherence to appropriate training loads and exercise technique will minimise the risk of initial injury as well as ensure a successful return after rehabilitation. BAHR, R. & KROSSHAUG, T. 2005. Understanding injury mechanisms: a key component of preventing injuries in sport. Br J Sports Med, 39, 324-9. BARANTO, A., HELLSTROM, M., CEDERLUND, C. G., NYMAN, R. & SWARD, L. 2009. Back pain and MRI changes in the thoraco-lumbar spine of top athletes in four different sports: a 15-year follow-up study. Knee Surg Sports Traumatol Arthrosc, 17, 1125-34. BLAKE, C., MURPHY, J. & ROE, M. 2015. GAA National Injury Surveillance Database: A Review of Injuries in Intercounty Gaelic Games from 2007 to 2014. 1-76. CHIMENTI, R. L., SCHOLTES, S. A. & VAN DILLEN, L. R. 2013. Activity characteristics and movement patterns in people with and people without low back pain who participate in rotation-related sports. J Sport Rehabil, 22, 161-9. HARRIS-HAYES, M., SAHRMANN, S. A. & VAN DILLEN, L. R. 2009. Relationship between the hip and low back pain in athletes who participate in rotation-related sports. J Sport Rehabil, 18, 60-75. HIDES, J., HUGHES, B. & STANTON, W. 2011. Magnetic resonance imaging assessment of regional abdominal muscle function in elite AFL players with and without low back pain. Man Ther, 16, 279-84. LATIMER, J., MAHER, C. G., REFSHAUGE, K. & COLACO, I. 1999. The reliability and validity of the Biering-Sorensen test in asymptomatic subjects and subjects reporting current or previous nonspecific low back pain. Spine (Phila Pa 1976), 24, 2085-9; discussion 2090. MCCULLOUGH, B. J., JOHNSON, G. R., MARTIN, B. I. & JARVIK, J. G. 2012. Lumbar MR imaging and reporting epidemiology: do epidemiologic data in reports affect clinical management? Radiology, 262, 941-6. METKAR, U. 2014. Conservative management of spondylolysis and spondylolisthesis. Seminars in Spine Surgery, 26, 225-229. NOVY, D. M., SIMMONDS, M. J., OLSON, S. L., LEE, C. E. & JONES, S. C. 1999. Physical performance: differences in men and women with and without low back pain. Arch Phys Med Rehabil, 80, 195-8. ORCHARD, J., SEWARD, H. & ORCHARD, J. 2014. 2014 AFL Injury Report. OZTURK, A., OZKAN, Y., OZDEMIR, R. M., YALCIN, N., AKGOZ, S., SARAC, V. & AYKUT, S. 2008. Radiographic changes in the lumbar spine in former professional football players: a comparative and matched controlled study. Eur Spine J, 17, 136-41. REIMAN, M. P., SYLVAIN, J., LOUDON, J. K. & GOODE, A. 2016. Return to sport after open and microdiscectomy surgery versus conservative treatment for lumbar disc herniation: a systematic review with meta-analysis. Br J Sports Med, 50, 221-30. VAN HILST, J., HILGERSOM, N. F., KUILMAN, M. C., PP, F. M. K. & FRINGS-DRESEN, M. H. 2015. Low back pain in young elite field hockey players, football players and speed skaters: Prevalence and risk factors. J Back Musculoskelet Rehabil, 28, 67-73.